The Duncanville Parks and Recreation Advisory Board will be seeking public input regarding the idea of gating Harrington Park at its entrances on Cockrell Hill Road and Highgate Drive to limit access to the park during after-hours. The discussion will held at the Duncanville Parks and Recreation Advisory Board regularly scheduled meeting on February 13, 2017 in the meeting rooms at the Duncanville Recreation Center starting at 6:30 pm. All residents of Duncanville are invited to participate in the meeting. If you are unable to attend the meeting, please feel free to email Bart Stevenson, Director of Parks and Recreation, at bstevenson@ci.duncanville.tx.us to share your thoughts and opinions regarding this matter. All emails will be shared with the Board, and the Board will make a recommendation to the City Council on this matter following public input and discussion. If you have any questions, please call Parks and Recreation at 972-780-4972. ****Update: Due to wet weather conditions, TXDOT has rescheduled the lane closures to Wednesday, December 7, from 9AM to 3PM. The two right westbound lanes of Wheatland Road under US-67 are scheduled to close on Monday, December 5th, from 9:00 a.m. – 3:00 p.m. for maintenance. We apologize for the inconvenience. The Texas Department of Transportation (TxDOT) is proposing improvements to Interstate Highway (IH) 20 from North (N.) Main Street to East (E.) Camp Wisdom Road in the City of Duncanville, Dallas County, Texas. Pursuant to Texas Administrative Code, Title 43, Part 1, Chapter 2, Subchapter E, §2.107 and §2.108 and Code of Federal Regulations, Title 23, Chapter I, Subchapter H, §771.111 and Title 40, Chapter V, §1506, this notice advises the public that a draft environmental documentation/technical reports are available for public review and that TxDOT will be conducting a public hearing on the proposed project. The hearing will be held on TUESDAY, DECEMBER 13, 2016 at the Hilton Garden Inn, 800 N Main Street, Duncanville, TX 75116. Displays will be available for viewing at 5:30 p.m. with the formal hearing starting at 6 p.m. The purpose of the hearing is to present the planned improvements and to receive public comment on the proposed project. The proposed project includes the construction of new concrete-paved eastbound frontage road between Oriole Blvd. and E. Camp Wisdom Road, and westbound between N. Main Street and Oriole Blvd. The new eastbound frontage road would extend the existing frontage road beyond Oriole Blvd. to E. Camp Wisdom Road. The intersection at E. Camp Wisdom Rd. and the eastbound frontage road would be signalized. The eastbound entrance ramp from N. Main Street to IH 20 would also be reconstructed at its current location. The new westbound frontage road would extend beyond Oriole Blvd. to the west. The existing access from the westbound frontage road to Winding Trail would be reconstructed to align with the new frontage road. The westbound exit ramp to N. Main Street from IH 20 would be reconstructed at its current location. The existing access from the westbound exit ramp to Thrush Avenue would be removed. Each frontage road would consist of one 12-foot wide inside travel lane and one 14-foot wide outside shared-use lane (for bicycle accommodation) with curb and gutter. A six-foot sidewalk would be located along the outer lanes of both eastbound and westbound frontage roads. The proposed sidewalks would meet ADA design criteria. Both eastbound entrance and westbound exit ramp would retain their current configuration of a 14-foot lane with a four-foot inside shoulder and six-foot outside shoulder. Noise walls would be proposed along the new westbound frontage road. Approximately 0.37 acre of new ROW (corner clips) would be acquired. There would be no residential or commercial displacements as a result of the project. Noise barriers would be constructed along various segments of the westbound frontage road. 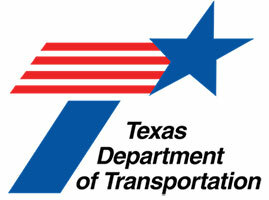 The draft environmental documentation, maps showing the project location and design, tentative construction schedules, and other information regarding the project are on file and available for inspection Monday through Friday between the hours of 8:00 a.m. and 5:00 p.m. at TxDOT Dallas District Office located at 4777 East Highway 80, Mesquite, Texas 75150 and online at www.keepitmovingdallas.com under Upcoming Public Hearing/Meeting. This information also will be available for inspection at the hearing. Verbal and written comments from the public regarding the project are requested and may be presented at the hearing, or submitted in person or by mail to Mr. Jim Dobbins, Texas Department of Transportation Dallas District Office, 4777 East US Highway 80, Mesquite, TX 57150. Comments must be received on or before WEDNESDAY, DECEMBER 28, 2016 to be part of the official hearing record. The hearing will be conducted in English. Persons interested in attending the hearing who have special communication or accommodation needs, such as the need for an interpreter, are encouraged to contact TxDOT Dallas District Public Information Office at (214) 320-4480. Requests should be made at least two days prior to the hearing. Every reasonable effort will be made to accommodate these needs. If you have any general questions or concerns regarding the proposed project or the hearing, please contact Grace Lo, P.E. at (214) 320-6627 or email her at Grace.Lo@txdot.gov. In observance of the Thanksgiving holiday, most City facilities will be closed on Thursday, November 24 and Friday, November 25. The Duncanville Public Library will close at 5 p.m. Wednesday, November 23rd, and close all day Thursday and Friday; normal service hours resume Saturday, November 26. The Recreation Center will close on Thursday, November 24th. The Duncanville Fieldhouse will close on Thursday, November 24th and Friday, November 25th. There will be no garbage or recycling services on Thursday, November 24. If your garbage/recycle services fall on this day, your trash/recycle will be serviced on your next scheduled collection day. The Duncanville Police Department is giving a Police Civil Service exam on Saturday, December 3, 2016. Individuals interested in an amazing career in Law Enforcement are urged to go online to fill out an interest card to be eligible for the civil service exam. Duncanville Police Department has great opportunities in a variety of aspects of police work. If you are interested in a law enforcement career, submit an interest card by November 23, 2016 at 3pm to be eligible for the exam on December 3, 2016. Looking for Duncanville Town Hall Meetings? You can find City of Duncanville Town Hall Meetings on YouTube. Go to our Government Channel page and you can see them there or subscribe to the playlist below. Beginning November 13, 2016, the City of Duncanville has committed to installing state of the art hardwood floors in both the Red and Blue Gyms. During this time, the gyms will be unavailable to the public. However, meeting rooms and fitness programs will continue. Previously scheduled court rentals have moved to the Recreation Center. The project is scheduled to be complete by December 16, 2016. Please contact the Fieldhouse for more information at 972-331-8868. ***Event rooms are open and available for rental! Contact the Fieldhouse to book now!